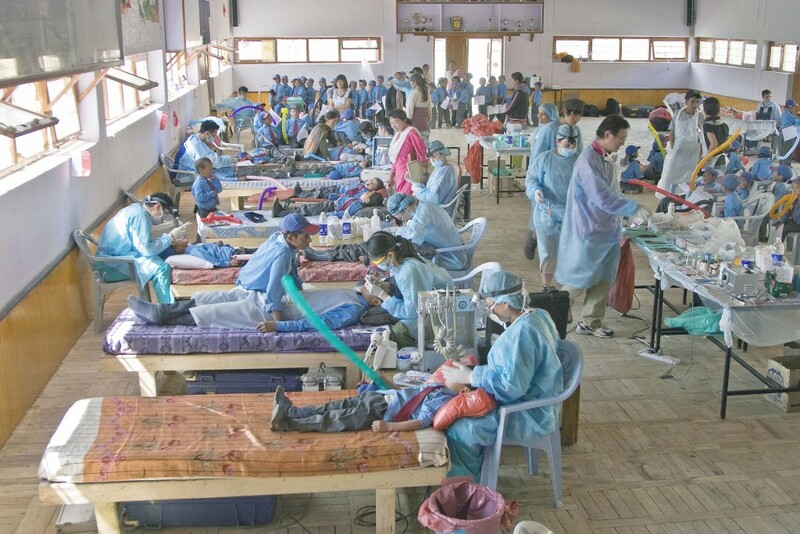 For the first several years of The Himalayan Health Project’s efforts to bring urgently needed basic medical care to the people of Ladakh, we took large teams of dentists, ophthalmologists and women’s health care specialists to some of the most remote locations in the Himalayas. These first medical expeditions were extremely beneficial, but not sustainable as far as time and cost effectiveness. The physicians were also restrained by water, space and electrical limitations as well as the perils of isolation in the event of equipment failure. 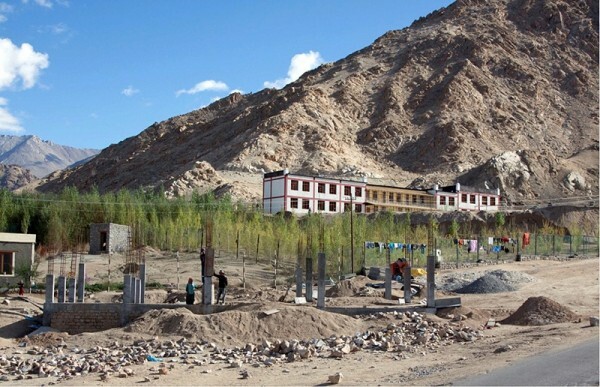 While we continued the humanitarian medical expeditions to the far reaches of the Indus and Nubra Valleys, we started plans to build a centralized treatment “basecamp” in the capital city of Leh where we could bring patients for vastly improved diagnosis and treatment after we identified their conditions in the field. In the summer of 2011 we began construction on the clinic complex. 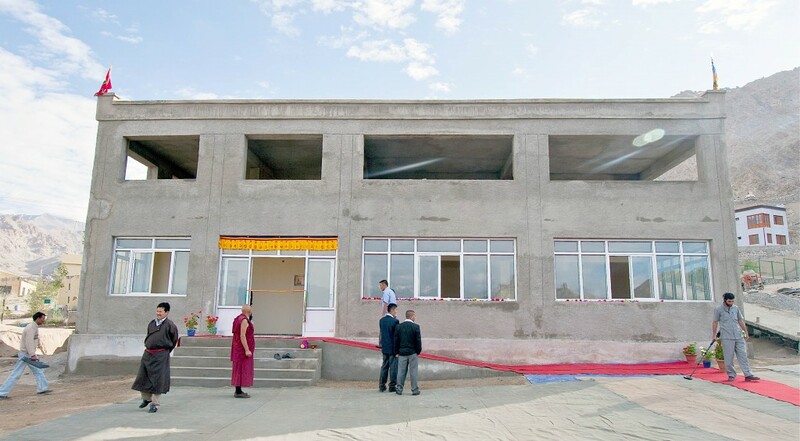 Here, Mrs Yangchan Dolma, the resident nurse of Lamdon School for over 15 years and the maternal “soul” of The Himalayan Health Project stands in front of the chalk outline of the proposed clinic facility. 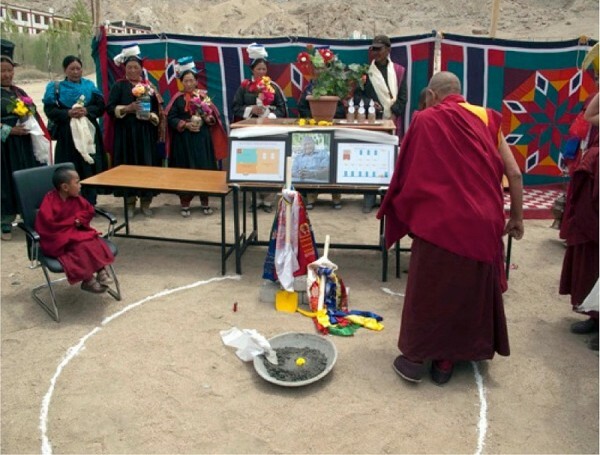 July 17, 2011: We were all honored that the ground breaking ceremony for the clinic was presided over by the young reincarnate presence of one of the most revered Buddhist monks in the long history of Ladakh, His Holiness Bhakula Rimpoche. 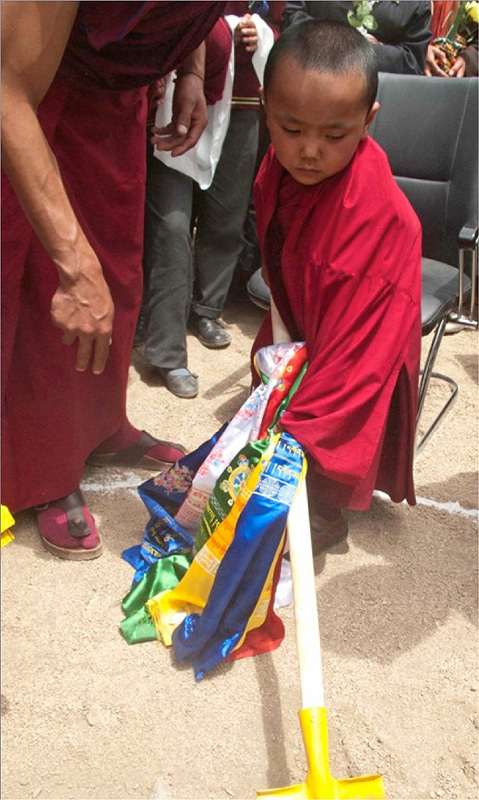 This was the first public ceremony that was attended by the young Rimpoche and was attended by thousands of local Ladakhis and monks. Immediately after the ground breaking ceremony, construction began in earnest. 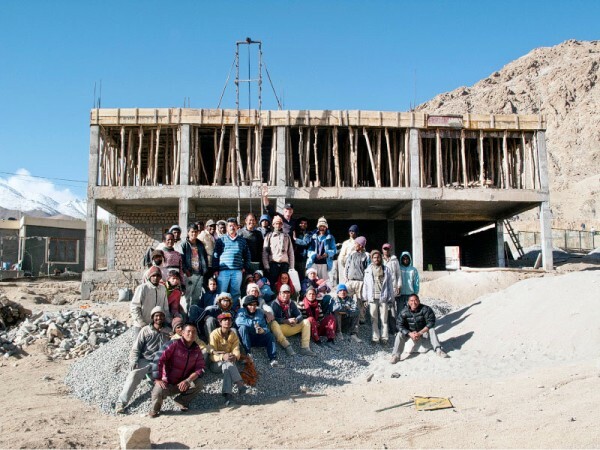 There is only a short window of opportunity for this level of construction in Ladakh as the weather is too cold between the months of November > April. By the beginning of winter in 2011, the foundation and the first columns for the second floor were completed. When construction began again in April of 2012 we were able to complete the roof in a little over one month and in May 2012 the roof of the clinic complex was poured. The construction teams continued to push very hard to complete the rough construction in time for a formal and auspicious dedication of the complex in just two months time. 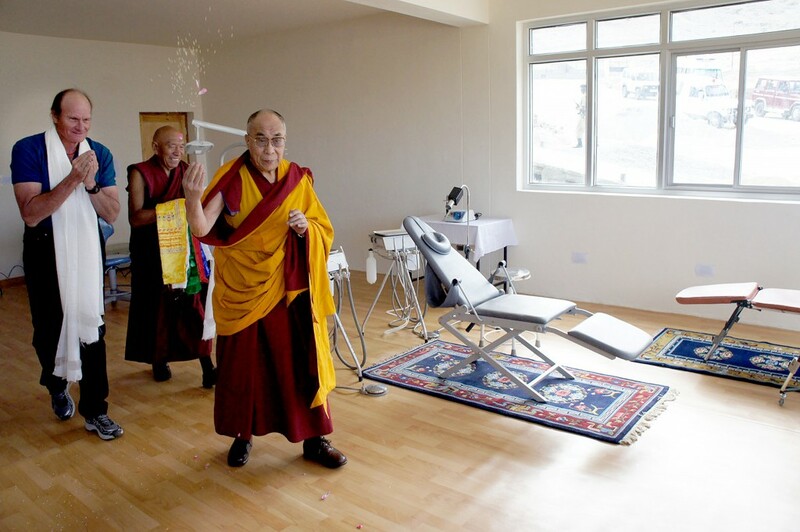 July 27, 2011: We all were extremely honored and inspired when His Holiness The Dalai Lama came to the clinic complex and blessed and dedicated the building and it’s objectives. Construction was still underway in many parts of the complex, but we were able to finish the main dental theater in time to host the ceremony.